Jennifer Clemons loves mortgage lending and helping borrowers purchase homes for their families. First time home buyers and move up buyers often rely on her expertise and assistance with their mortgage. Jennifer gives back to her community through various booster clubs that generate funds for local schools. She also supports the National MS Society and helps her son stage a magic show for the MS Respite Camp. Kenneth P. and Susan P.
Jennifer was wonderful from start to finish. She is such a pleasant person to work with. Answered all of my questions promptly and was very calming when I was anxious. David G. and Cindy G.
Jennifer was very helpful throughout the loan process. Jennifer was prompt, knowledgeable, and supportive from my initial contact through to closing with a follow up thank you! Jennifer was very professional and answered all my questions. She had everything ready & kept me informed. David M. and Emily M.
Jennifer was knowledgeable and very prompt. She answered all of our questions, which were many, and she helped keep the process moving. John H. and Wendy H.
Jennifer was a pleasure to work with and provided terrific support during the process. Jennifer is very professional and as nice of a person you can find! Will help at every opportunity! Jonathan W. and Rebekah W.
Working with Jennifer was wonderful! She was very cheerful and helpful. She was always careful to explain all of our questions. She really made this process very easy and hassle- free! Sean B. and Christy B.
Jennifer Clemons was amazing. She was very helpful and we always received quick responses to my questions and concerns I've had. Jamie L. and Scott L.
Paul J. and Brooke J. The process of buying and moving is stressful enough. I appreciate Jennifer prompt follow-ups to keep the financing portion of the process smooth and easy. My wife and I would work with Jennifer again. Harley D. and Holly W.
Jennifer Clemons was amazing with helping us on our first home. We are very thankful she was recommended to us. Jennifer was always very courteous and was quick to answer any questions I had. She made this a wonderful experience, and I have already recommended that office to my friend who got her loan. Carlton A. and Nicole A.
Jennifer was very professional and was more than willing to go out of her way to answer any questions we had. Stephanie S. and James S.
Jennifer Clemons was absolutely wonderful to work with. She was very willing to answer questions and concerns in a timely manner. She was helpful and professional. This was my first time dealing with a mortgage group locally. Atlantic Bay made the process easy and comfortable. Thank you! Jennifer is fantastic. Absolutely top notch! We appreciated Jennifer's incredible efficiency and accommodation of our every question. We felt we received very wise, thorough counsel in every way. Bobby A. and Sarah A.
Jennifer helped us out tremendously. We're very thankful for everything she did for us. She is very professional and knowledgeable. Russell C. and Jennifer C.
Travis C. and Jessica C.
Jennifer made our experience a little less stressful. She was always there to answer any question we had and always kept in contact with us to let us know what was going on with the process. We are truly grateful. I want to thank you all. I would tell everybody about you all. Robert C. and Margaret O. Our mortgage banker did an amazing job. She helped so much and made our experience incredible. Jennifer made buying our first home amazing. Jennifer Clemons went above and beyond. Very knowledgeable, helpful, and patient. Answered all our questions and helped with our concerns. Superior treatment. Made things at ease. So appreciated. Uyen T. and Ricky G.
Jennifer made everything so easy and smooth. Jennifer worked very hard on our loan and we will always be grateful. She was easy to work with and answered all of our questions in a timely manner. Channing E. and Amanda E.
It was our first time purchasing a home and Jennifer Clemons made the process stress-free and as smooth as possible! We are extremely pleased with our service and would highly recommend Jennifer to anyone! We are very pleased and appreciate all her hard work to help me and my family buy a home! Donald W. and Glenda W.
Thank you, Jennifer for making our loan application as "painless as possible." Jennifer made the entire process easy, painless, and efficient. All of my questions were answered promptly and she made the whole thing enjoyable. 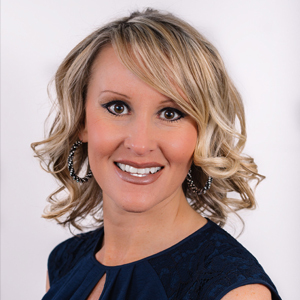 I enthusiastically recommend Atlantic Bay Mortgage Group and particularly Jennifer Clemons. Kevin F. and Tina F.
Danielle B. and Brian B.
Jennifer was amazing! I look forward to working with her for my future needs. Phillip S. and Diana D.
Jennifer was cordial, prompt, professional, and efficient. We appreciate her! William S. and Debra S.
Atlantic Bay Mortgage Group and Jennifer Clemons exceed expectations and processed our loan very quickly. We are so happy and will recommend Atlantic Bay Mortgage Group to others. Jennifer was patient, kind, and available. She answered allowed me the convenience of text as well as outside of normal business hours conversations. Jennifer kept me in the know and answered all of my questions and made a grueling process for a first-time homebuyer smooth and understandable, providing lots of explanations and options. Jennifer made my experience as smooth as possible. Obtaining a loan is a long and arduous process, but she helped me every step of the way and answered all my questions, and was always helpful and pleasant to work with. Jennifer Clemons did a great job and everything went smoothly. Scott T. and Gretchen T.
Jennifer Clemons was great. Thanks for processing our loan so efficiently and it was a pleasure working with Jennifer. Atlantic Bay Mortgage Group made it a simple process and were easy to work with. This was very helpful for a first time homebuyer. Jennifer sent me a list of everything that was required for my loan. Since I am task oriented, this really simplified the transaction. Chris H. and Dianna H.
Jennifer was polite and courteous! Ms. Clemons was very easy to work with. She worked very hard to help me get all issues addressed every effectively and timely and she was truly a pleasure to work with. Todd N. and Kathy N.
Jennifer was really helpful, caring, understanding, and quick with the closing process. I really appreciate everything she has done to help me. Joe V. and Christi K.
Outstanding service and communication. I am extremely pleased! Jennifer went above and beyond to help us in any way she could. Tim O. and Hannah O.
Jennifer was a delight to work with! She was professional and friendly, exceeding our expectations. Everything went so smoothly for us and I would recommend Jennifer and Atlantic Bay Mortgage Group to anyone! Jennifer Clemons was a great help. We've used Jennifer on both of our houses and it has always been a great experience! Thank you Jennifer! Hyleigh Y. and Mark Y.
Jennifer was great and made the process easy! Jennifer was great to work with and everything was done quickly and efficiently. Jennifer was great to work with and I would enjoy working with her again in the future. Jennifer Clemons was professional and helpful during the process. Delano P. and Vickie P.
Jennifer was very nice and good to work with in answering my questions both in person and on the phone. Jestin H. and Cassandra H.
Jennifer Clemons made the entire process easy and efficient and this was the best mortgage experience we've ever had.